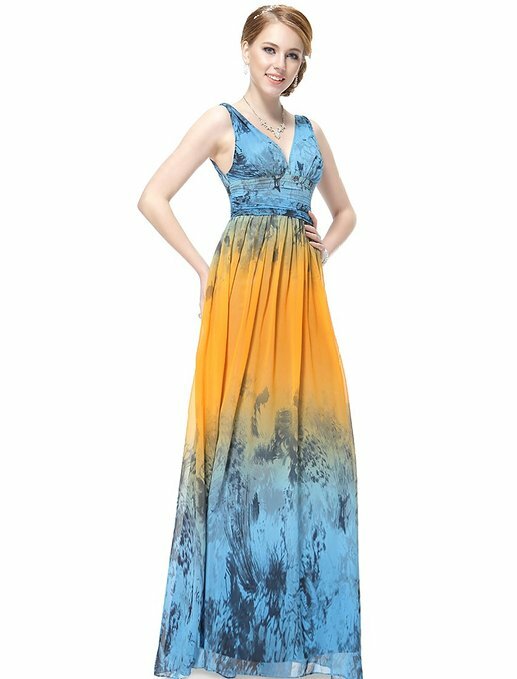 With the arrival of the warm season all ladies need to enrich their wardrobe with a maxi dress. Unless you already own. Such dress is very important for such variations that you can have in your outfit everyday. This type of dress is more elegant than most women might think. Important is to discover its delicacy and femininity. Actually, what can be more desirable than to dress comfortable but to be elegant and feminine at the same time? Elegant outfit – In the evening wear maxi dress with glamorous accessories and bulky. The bag can be small, in which just fit your phone, your wallet and your lipgloss. In order to emphasize your outfit, harmonizes them with a bag in strong colors. Heeled platform sandals are required to have an attractive outfit. Finish your look with a hairstyle and makeup evening occasion. So you have to remember is that such a dress can be easily accessorized, it extremely important. Casual outfit – probably is the maxi dress outfit is the most common, and this naturally given how it is chic and versatile. The advantage, if it can be called so, is that a casual outfit does not need too many accessories. A maxi dress, spring or summer, can be worn with confidence even if you’re petit. All the accessories you choose to wear to complete your outfit.